In a letter, military veterans expressed disappointment over the usage of photos of IAF pilot Abhinandan Varthaman and other soldiers at election campaigns. 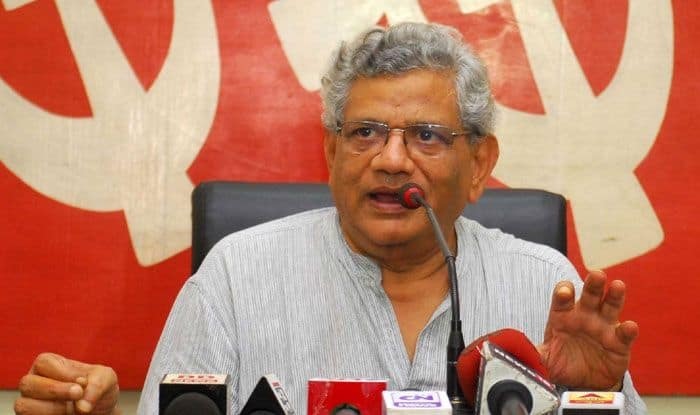 CPI(M) general secretary Sitaram Yechury on Friday asked the Election Commission to act strongly against the ruling BJP for its “despicable attempts” to politicise and misuse the armed forces during the ongoing election campaign. Over 150 armed forces veterans have written to President and Commander-in-Chief Ram Nath Kovind to complain about the manner in which political parties have been repeatedly using armed forces for political gains ahead of the Lok Sabha election. The letter, signed by three former army chiefs, four former navy chiefs and a former air force chief, draws the president’s attention to the “unusual and completely unacceptable practice of political leaders taking credit for military operations like cross-border strikes and even going so far as to claim the armed forces to be ‘Modi ji ki sena'”. “We are at a stage where Military veterans, also ex-Chiefs, have to come together to tell off BJP-Modi’s despicable attempts to misuse our brave Forces for elections. BJP won’t reform but those responsible for conducting free & fair polls must act strongly against the ruling party,” Yechury said on Twitter. The armed forces, he added, are performing their designated duty in a democratic setup. “When their name is misused by the ruling party, it diminishes the Forces & corrodes our democracy. Strictest possible disciplinary action against the ruling party, its leaders is the only way to end this,” he tweeted. The military veterans said it is a matter of considerable concern and disquiet among both the serving and the retired personnel that the armed forces are being used to pursue a political agenda. In the letter, the military veterans expressed disappointment over the usage of photos of Indian Air Force pilot Abhinandan Varthaman and other soldiers at election campaigns. Uttar Pradesh Chief Minister Yogi Adityanath recently referred to the armed forces as “Modiji ki Sena” at an election rally in Uttar Pradesh, triggering strong reactions from the opposition parties. The Election Commission also took strong objection to the comments.